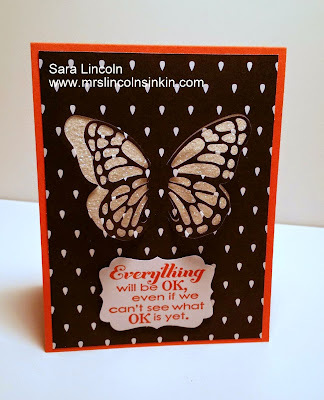 Mrs. Lincoln's Inkin: Everything is Ok!!! Hi all. Super quick post for you today. 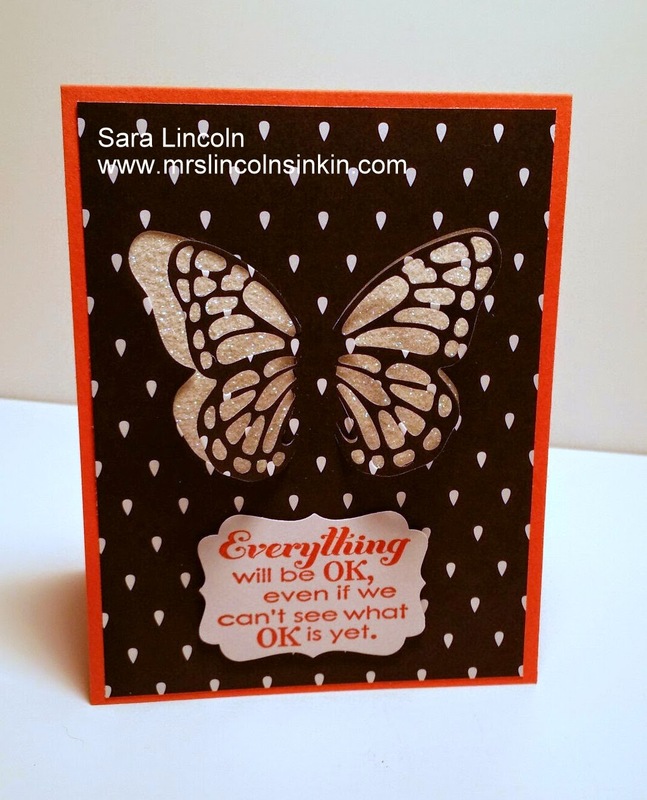 I wanted to share this card with you where I used the Butterfly Thinlits. I did not run my thinlits all the way through my Big Shot though, I stopped at the center so that my butterfly is still attached to the Back to Black DSP. 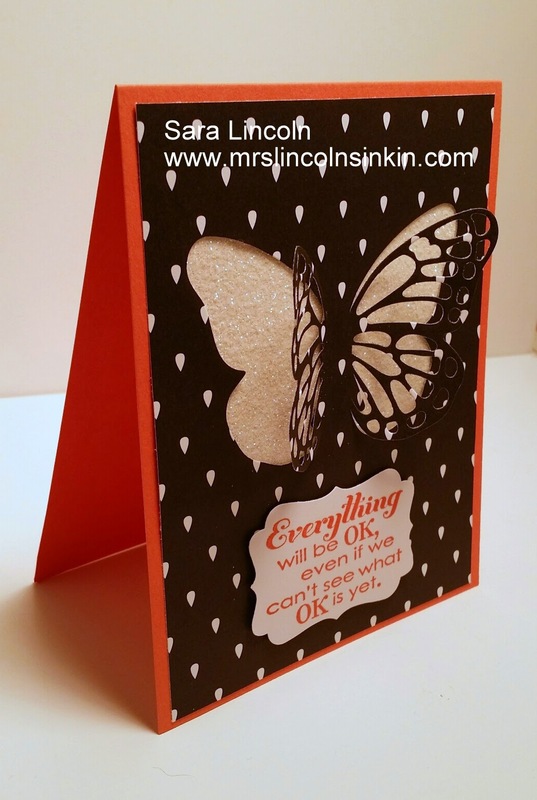 I then backed it with the Dazzling Details paper (I LOVE THE BLING).